Realizing total control comes with practice, but you can help yourself by selecting the best farrier driving hammer or blacksmith hammer that has a weight light enough for you to lift it for 2-3 hours at a time and comfortably guide it as it falls so that it strikes the area and displaces metal with the desired effect. Browse all farrier and blacksmith hammers now! Foremost in selecting the best blacksmith and farrier hammer for your work is weight. The type, which defines a blacksmith hammer's specific use, and style, which defines how the hammer fits and functions within your hands, also help profoundly shape your technique and the results of your work. Small hammers offer significantly greater control and endurance. 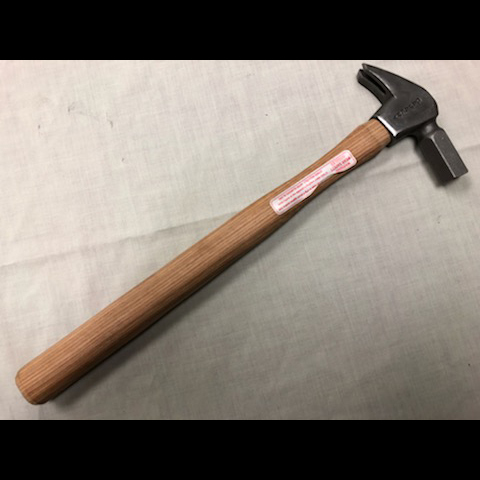 Because working at the anvil requires stretches of hammering for several hours, it's important that you opt for a hammer that will allow you to lift continually and control the descent of a hammer without fatiguing your hand or arm before the metal cools. 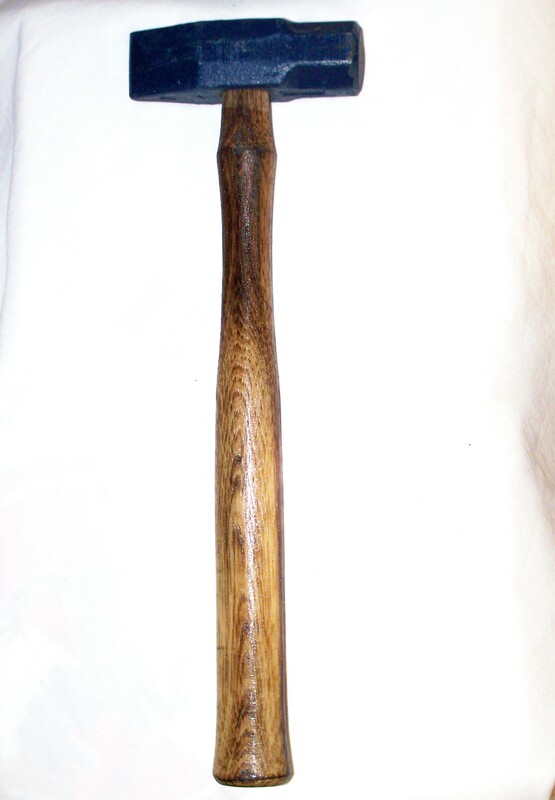 500 gram German Pattern Hammer 1.10 lbs. Medium hammers allow you to work with larger metals and create shapes with wider surface areas. They may also help create specialized shapes for particular uses that would take unreasonable amounts of time when using small hammers. Large hammers are perfect for working with materials and shapes that require the construction of exceptionally wide planes. They are also useful for moving massive amounts of metal at one time, which compliments shaping using a small hammer for a varied approach. Most blacksmith and farrier hammers will use handles made from treated wood designed to minimize friction without compromising grip. Because the handle will move within your hand as you lift and guide the hammer, balance the natural grip of the wood with the durability and slip of the finish to keep blisters and wear to a minimum. Many handles also feature a grip made of synthetic rubber or common industrial elastomer. Grips increase friction but prevent repetitive movement from continually damaging skin as you work. They also ensure that you don't lose control of your hammer and accidentally drop or throw it. The shape of the handle comes in contours to fit a variety of hand sizes. Your grip method may also vary from that of fellow blacksmiths. Most hammer handles are shaped to fit firmly into most hands and grip methods, but you may find that you're better able to control longer or shorter handles depending on the strength you put into your swing. 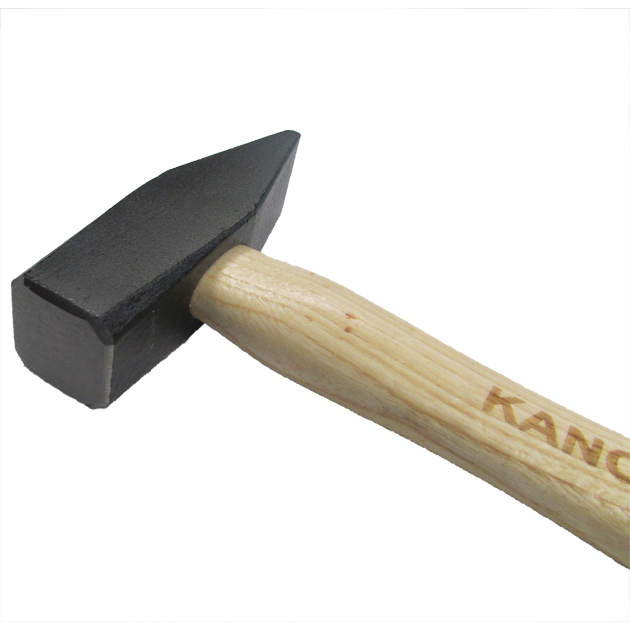 A blacksmith or farrier hammer's type defines for what purpose the smith will use the hammer. 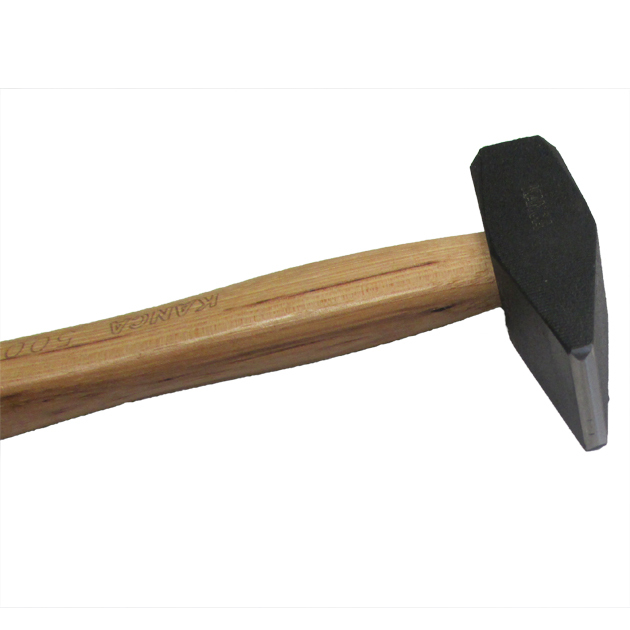 Blacksmith hammers come in a range of sizes and tend to be pattern hammers with square faces and cross peins. Their design allows them to move metal in larger chunks, then pattern out the metal using the flat face. Handy for farriers, clipping hammers have smaller and more precise faces and peins to handle precision work. Many farriers file and sand the handle to help create a custom grip for fine detailing. The best driving hammers for farriers offer superior balance and power with extended tips to help push nails through horseshoes and into the hoof wall of the horse. Mallets allow blacksmiths and farriers to hammer out exceptionally large areas of metal to quickly make rudimentary shapes that can then be better defined by more specialized hammers. Rounding hammers have both a rounded head and a flat head with rounded edges. Some edges are more defined than others, which allows blacksmiths and farriers to select a hammer that can push out specific types of rounded edges. Specialty hammers are made purpose-specific for blacksmiths and farriers who require shaping and detailing ability on a regular basis. They help make regular specialized work faster and easier, but not are not easily applicable to general smithing. 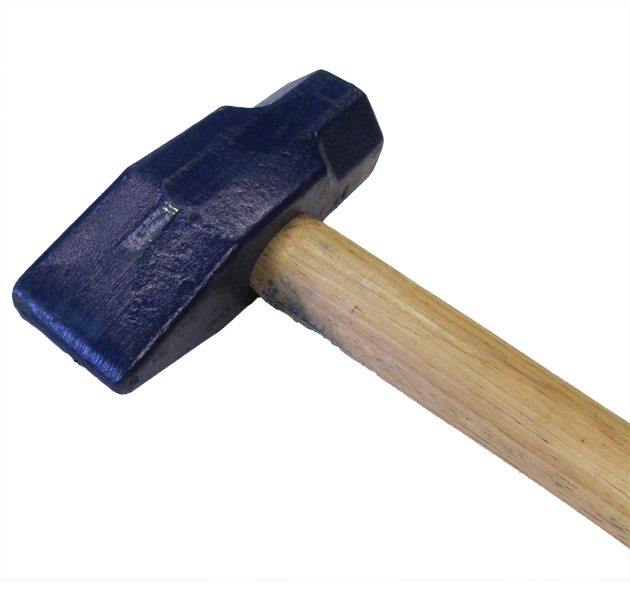 See our specialty hammers page for more information on the applications for these hammers. 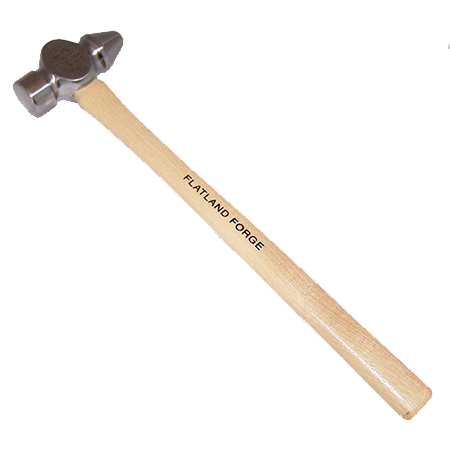 Sledge hammers are extra-heavy versions of different types of farrier and blacksmith hammers for various uses. At sledge hammer weight, they are superior for moving lots of metal quickly without worrying about shaping or detailing it. Consider grip for safety first; afterward, think about what kinds of finishes and materials will prevent your hands from taking damage caused by repeated lifting and gripping. Ensure that the shape of your hammer's face and pein will allow you to create the shapes you want to create in a reasonable time without wearing on your stamina. Grab specialized hammers if you find that you're spending too much time and strength on very specific tasks for which hammers have already been made available.